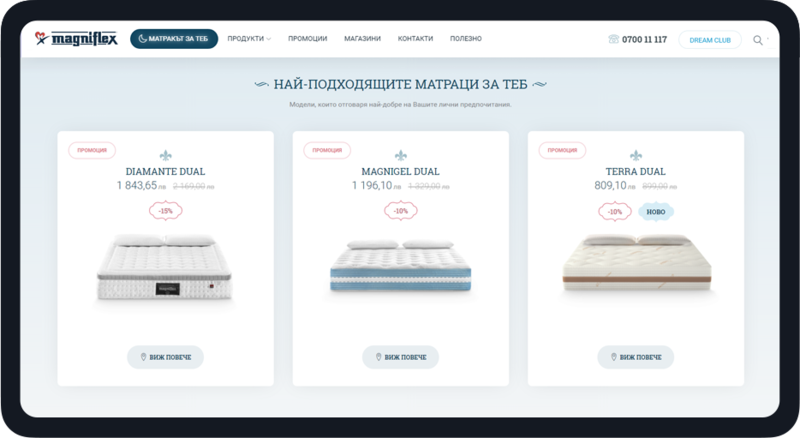 We redesigned the online stores of the number one Italian mattress brand in Bulgaria and Romania. 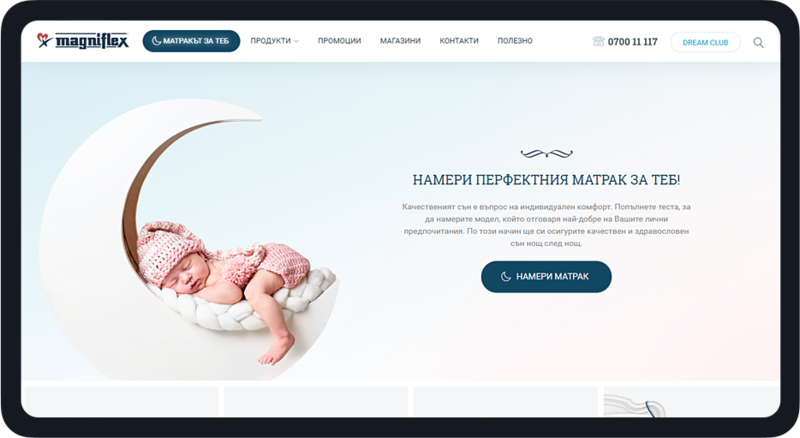 We redesigned the online stores of the No1 Italian mattress brand in Bulgaria and Romania. 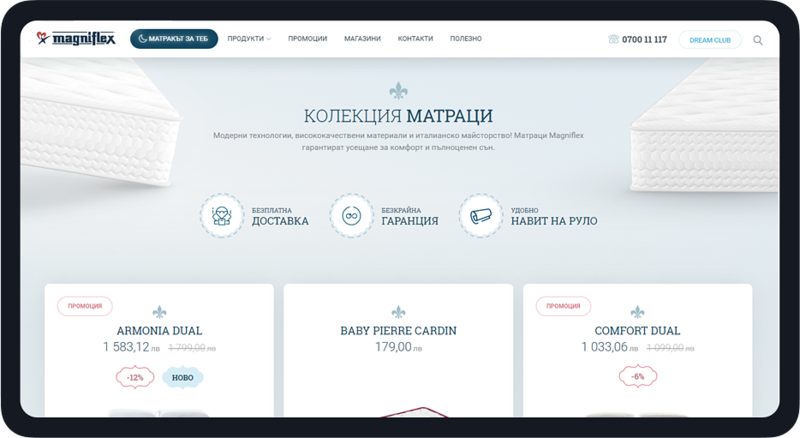 Magniflex came up with a really cool idea for a special kind of customer journey based on their core belief. The perfect mattress does exist but it will differ for each individual. To choose the right one, it is important to consider our habits, body structure and comfort preferences. There are numerous variables, which is why Magniflex offers a vast and varied range of mattresses that can match the different needs of different individuals. and slick ‘italian style’ experience. trust factors and manufacturing quality. they can purchase their new mattress. and time spent on the website. Bulgaria and Online purchases for Romania. and how it’s better than the competition. the right mattress for them. We created a customer journey that starts with understanding your sleeping habits and prefferences while leading you through the brand’s history. We input the information we get through an algorithm that recommends the right mattress for you based on the knowledge of master bedmakers. Once you make a choice the website guides you to the nearest retail store. 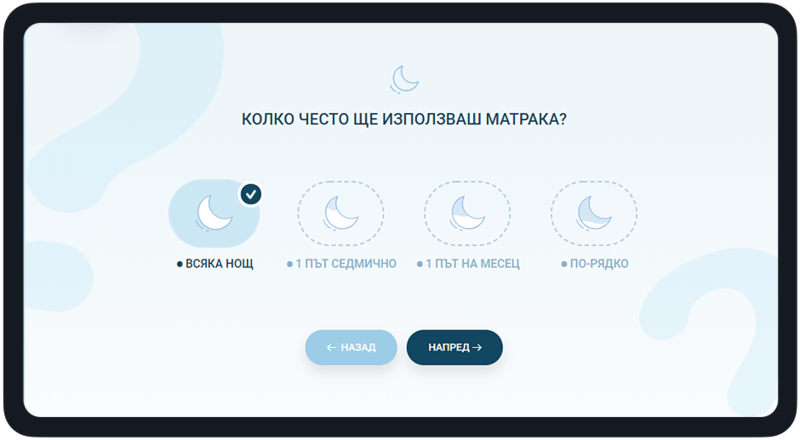 Create a new modern looking, yet clean and stylish cross-device and cross-platform design for the No1 Italian mattress brand in Bulgaria and Romania. Create an educational and helpful user experience for choosing the right mattress for each and every person. 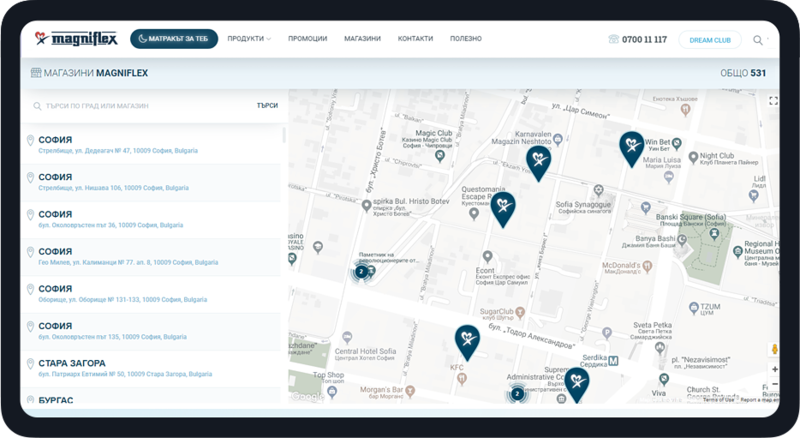 Engage people with the brand and its quality products and increase the retail sales in Bulgaria and the Online sales in Romania. 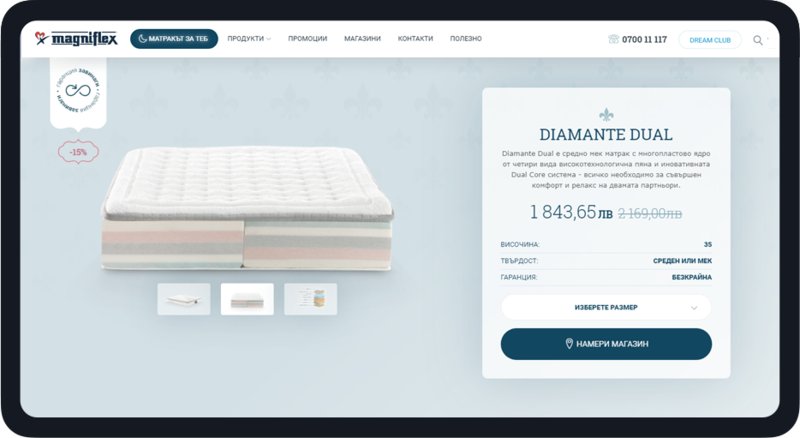 After a lot of hard work and constant communication with the client, we managed to create on of the best mattress eCommerce platforms in Bulgaria and Romania, presenting the No1 Italian mattress brand in the manner that it deserves. We also succeeded in educating and guiding current and future Magniflex customers in choosing the perfect new mattress for them.